MacBook Pro's Touch Bar isn't as secure as we thought. Hackers have been able to gain unauthorized access to the MacBook Pro’s fancy new Touch Bar by taking advantage of a hole in Safari. 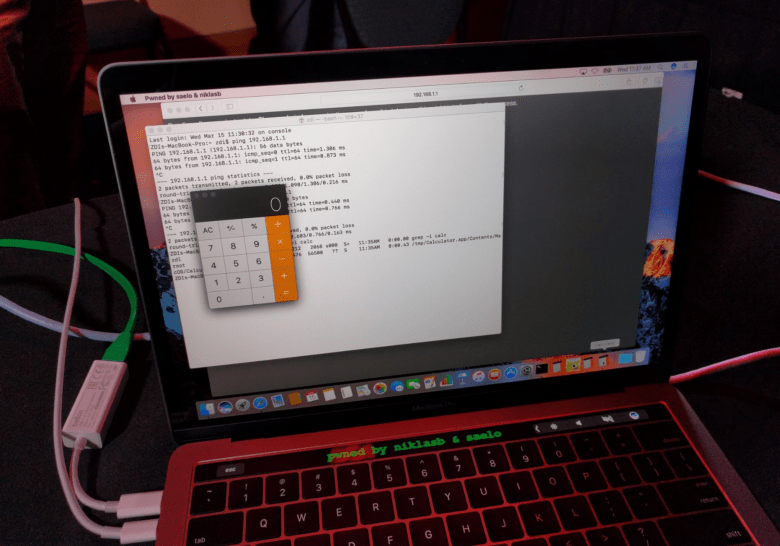 The duo demonstrated the exploit at the Pwn2Own security conference taking place in Vancouver, Canada this week and bagged $28,000 for their efforts. The Touch Bar is powered by a dedicated T1 chipset and a custom version of watchOS. That T1 chip also manages the security of features like Touch ID and the MacBook Pro’s front-facing FaceTime camera. But it turns out it isn’t all that secure. Although it was only considered a partial success, since the vulnerability has already been patched in more recent versions of macOS, the hack earned them a $28,000 reward and nine points in the Pwn2Own competition. Another Safari vulnerability earned the Chaitin Security Research Lab a $35,000 reward and 11 points because it was seen as a full success. Other teams also attempted to breach Safari, Digital Trends reports, but were unable to do so within the allotted time. Pwn2Own is giving away $1 million in prizes this year to those who are able to breach big platforms. Apple isn’t the only target; so far, others have successfully cracked the Linux kernel, Adobe Reader, and Microsoft’s new Edge browser for Windows 10.